Review: This is one of the most stunning novels I have ever read! Her descriptions are emotional and evocative; the story is a thrilling mystery! Cady has headaches. Headaches that keep her from being able to function. Cady can’t remember anything about her accident, or anything about the summer two years ago when it happened. She returns to her family’s island for summer seventeen, trying to piece together what when wrong. She spends her time with her three best friends; two cousins, Johnny and Mirren, and Gat, who she is in love with. They can’t tell her what happened, the doctors say she must remember on her own. As she watches her family fight for inheritance and fall apart at the seams, Cady clings onto her best friends, the Liars. They are all she has and all she cares about. 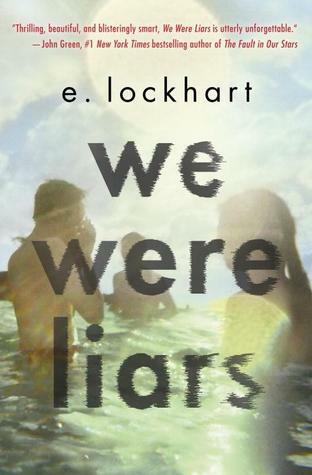 E. Lockhart keeps the tension high until the very end, when Cady finally remembers what happened in summer fifteen. She has created the most spectacular emotional arc that I’ve seen in years. Cady’s story is stunning. This book was really fantastic. I couldn’t believe all the twists and turns.